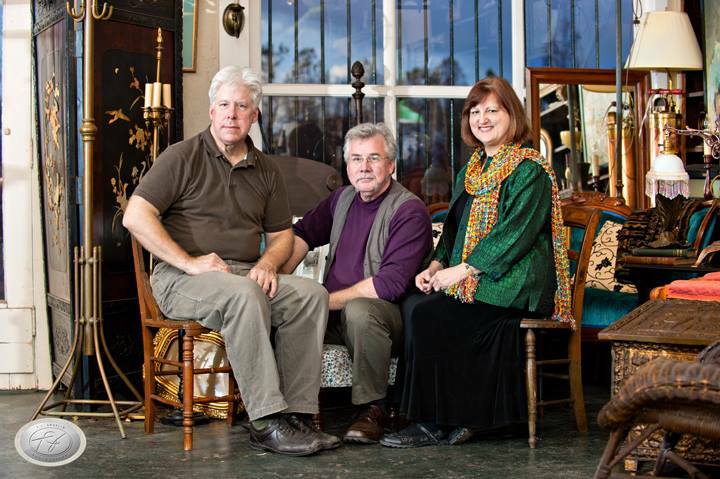 Smithfield Fair is a folk trio with deep Scottish roots from Baton Rouge, Louisiana. They are acknowledged as one of the foremost presenters of traditionally based Scottish music in North America. Thanks to the advent of Internet Radio, with outlets like Pandora, Spotify and/or using apps like TuneIn Radio, audiences around the world know their music. In Part I of our discussion (see episode #020) we explored the band's individual musical influences from gospel hymns to the pop-folk stylings of "The Association." In this Part II of our discussion, we begin by learning of Smithfield Fair's composition, "Scotland, Fair Scotland" written by Dudley-Brian and Jan as a possible national anthem for Scotland, if and when it should gain its independence. We'll gain some insight into the band's perspective of live performances vs radio play, and we'll conclude the chat by hearing from each band member what title they consider their favorite, and we'll also hear those songs. Smithfield Fair has been performing together for 43 years (with some variations in personnel) and has released 30 albums (CDs). In 1989 the band adopted the name Smithfield Fair (origins of the name are shared in Part I) and centered its musical stylings on traditional Scottish folk songs and original compositions with traditional Scottish stylings. With the decline of Scottish festivals and Highland Games across the USA (and elsewhere around the world) the band has begun to move back to a blend of their Scottish sounds and more traditional southern, American folk songs. For tour dates and more, see the band's website found in the links below.